Far from just being the bloodthirsty raiders of popular myth, the Vikings were prolific traders and travellers who rowed and sailed their longships all over the known world. 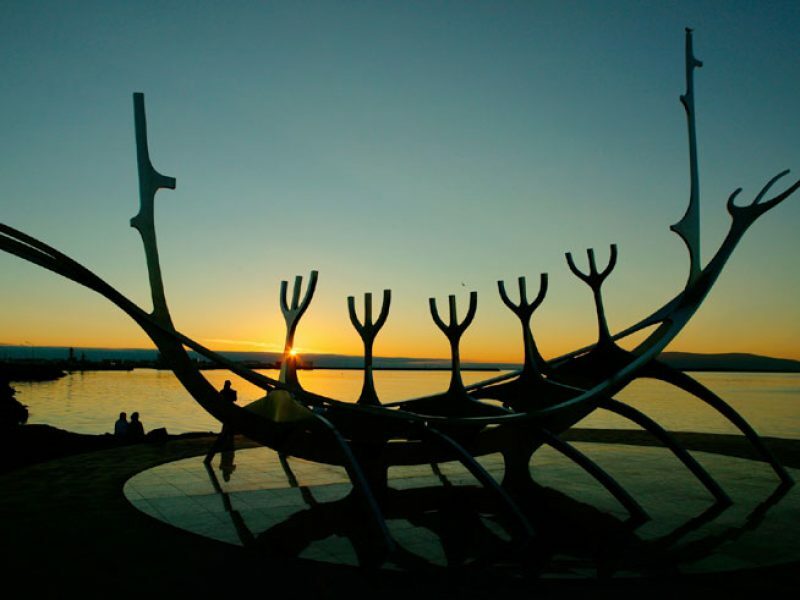 Follow in their wake on a Viking-inspired vacation – here’s a few ideas of where you need to visit. You can travel almost anywhere in Scandinavia and be reasonably confident that there were once Vikings farming the land or sailing the waters. Ferries (and trains) connect Helsinki, Stockholm, Oslo and Copenhagen, the modern day capitals of Scandinavia, so you can travel between these four cities (mostly) by water. Oslo and Stockholm in particular celebrate their Viking heritage, but each maritime city has plenty of more contemporary attractions so you can balance ancient and modern. In the far north of Norway, Borg on the Lofoten Islands is home to the fantastic Lofotor Viking Museum, where you’ll find an 83m Viking longhouse – the longest ever discovered – which has been reconstructed in its entirety, and a replica of the Gokstad Ship in an inlet nearby. The Vikings play a rich part in Iceland’s history, and the famous Icelandic sagas – although written in the 13th and 14th centuries – provide the most accurate and detailed accounts of Viking life in existence. The Saga Museum in Reykjavik (Grandagardi 2, near the waterfront) has many of the legends from the Icelandic sagas. And if you stay at the 4* Hotel Reykjavik Centrum, you can visit the museum in the hotel’s basement which is built around archaeological remains of a Viking longhouse dating back to 871AD. Outside of the capital, you can visit many of the places mentioned in the sagas. Njál’s Saga, for example, centres around Hvolsvöllur on the south coast and the Saga Centre there depicts Viking life and the bloody and tragic saga story. When Erik the Red was exiled from Iceland for murder in 982AD, he sailed west and discovered, and named, Greenland. Three years later he had persuaded some 500 people to accompany him to Greenland (although not all the ships survived the journey), and eventually settled at Qassiarssuq. Continuing the family tradition of discovering new lands, Erik the Red’s son, Leif Erikson is thought to be the first European to visit North America. The three regions he explored and named Helluland, Markland and Vinland are thought to be modern day Baffin Island, Labrador and Newfoundland respectively. In 1968, archaeologists Helge and Anne Stine Ingstad discovered a cloak pin, which lead to the excavation of a Viking settlement at L’Anse aux Meadows. You can visit this World Heritage site, and nearby Norstead – a recreated Viking trading port. The fearsome reputation of the Vikings comes in part from their predilection for attacking religious – such as the attacks on Lindisfarne monastery recorded by the Venerable Bede. These raiders sailed across from Scandinavia, and you can now recreate a similar route back across the North Sea, sailing from Scotland all the way to the Svalbard archipelago in Arctic Norway. This voyage cruises via the Orkneys and Shetland Islands where you can see Stone Age villages as well as Viking relics. The other draws of this epic journey are the chance to sail into the Midnight Sun, explore the beautifully rugged Norwegian coastline (which is itself rife with Viking history) and see a huge variety of wildlife in the seas and skies. Experience the lands of the Viking on a weekend break or a longer escape. Speak to a Nordic Travel Specialist or send us an enquiry today.